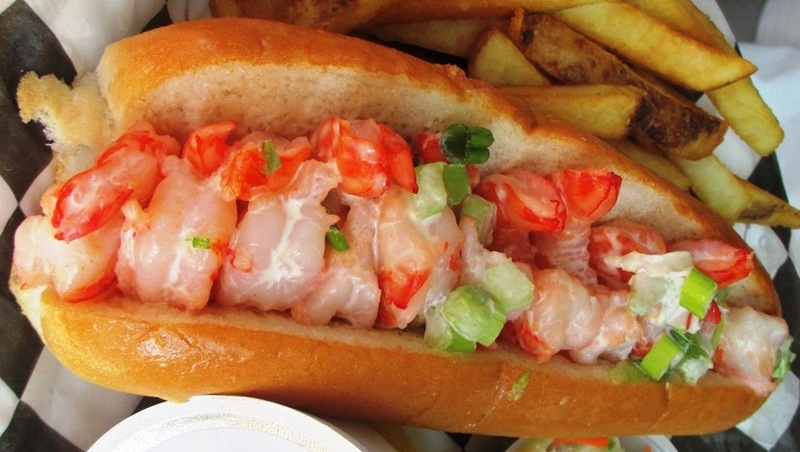 Fenway Park Food – Get Your Lobster Heah. 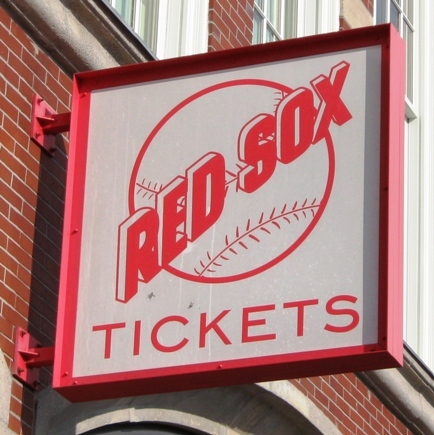 With the Fenway Park food menu expanding, one would think people would start to eschew the ubiquitous Fenway Frank. I like Red Sox baseball more just looking at this. Fenway Park Food, Lobster Bit #1) The Lobster Roll. The great thing about the Fenway lobster roll is that it’s served on the same white bread bun as the Fenway Frank – and it’s lightly toasted since you’re paying a few extra bucks. The lobster roll includes lettuce, tomato chunks, and a creamy sauce. You can find it easily at the Fish Shack on Jersey Street, but it’s available in the concourses too. Anyone think this should be the new Aramark logo? 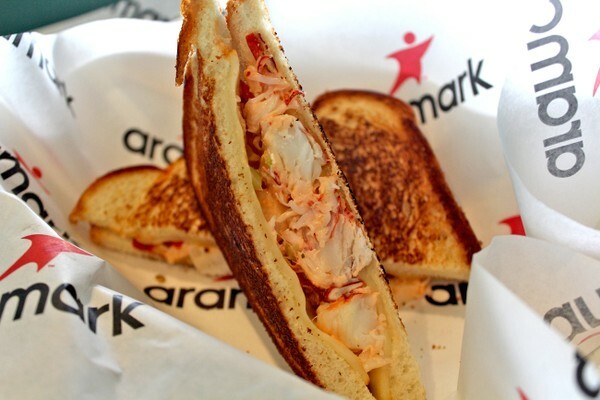 Fenway Park Food, Lobster Bit #2) The Lobster Melt. This has been added in the recent “ballparks need more grilled cheese” craze…it’s a grilled cheese sandwich with steamed lobster, muenster cheese and a slice of tomato. It’s made from “Yankee” lobster, for some head-shaking reason. I would climb a mountain of these things just to put that flag in. 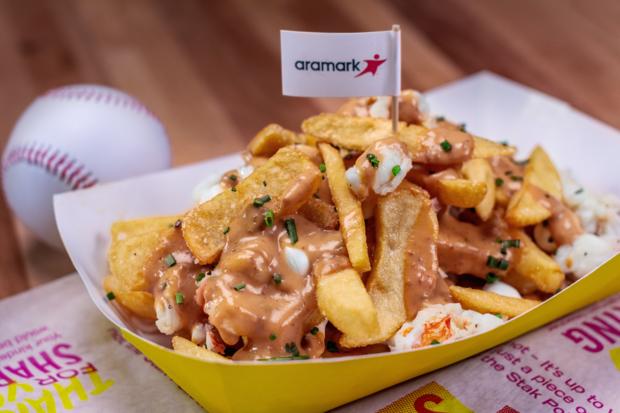 Fenway Park Food, Lobster Bit #3) The Lobster Poutine Stak. This amazeballs creation found in the Big Concourse was ranked #8 in For The Win’s craziest ballpark snacks of 2017. But if loving steak fries covered with lobster bisque, cheese curds, lobster meat and chives is crazy, then I don’t want to be normal. Lobster Melt and Lobster Poutine Stak photos courtesy of Aramark.